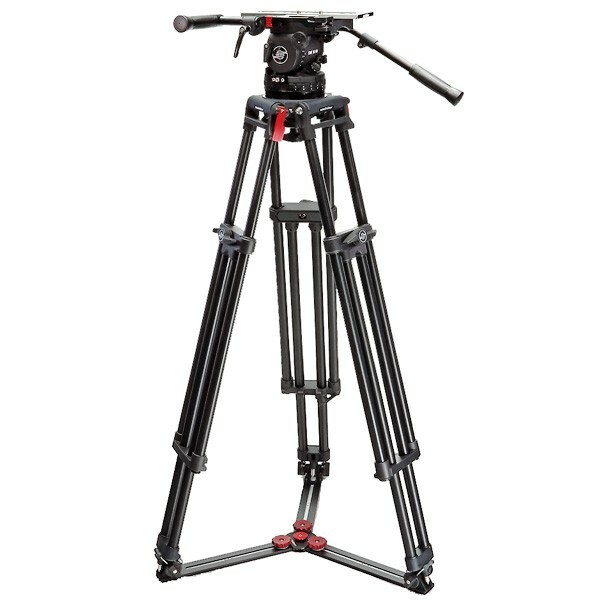 Product information "Sachtler System Cine 30"
Whether you are working in the studio or on location, you need a fluid head that lets you work fast and effectively. The Sachtler Cine 30 HD is a reliable and flexible solution for daily film and HD use. Thanks to the Snap & Go side-loading mechanism, heavy camera packages can be mounted quickly without compromising safety and still allowing the plate to slide to adjust balance. This makes it quick and easy to prepare a shot, no matter how many accessories are weighing down your camera. The head features two payload ranges, from 3 – 30 kg and 8 – 35 kg for optimal versatility. Once you are balanced, the 18-step counterbalance ensures you can be sure your camera is always securely fastened and you won’t suffer any unforeseen tips. Frictionless leak proof fluid damping with seven levels of drag for smooth panning also means that your tilts and pans are always seamless. If you are using expensive cameras, or working on an ambitious film or HD project with a busy schedule, you need a tripod that can keep up. The Sachtler Cine 150 Long gives you reliable high performance, even with payloads of 140 kg. The aluminum construction and large spikes mean that you can always be sure you are completely stable, while you can secure the tripod firmly in place when using heavier payloads. This stability is matched by simplicity, so that the Sachtler Cine 150 Long is always quick and easy to use. The extra-long rotary stage clamps mean that height adjustments isn’t any more difficult in cold conditions or while wearing gloves. The ergonomic design means that you don’t have to spend your time clumsily fiddling, and can dedicate more time to being creative. Related links to "Sachtler System Cine 30"
Our comment on "Sachtler System Cine 30"
Customer evaluation for "Sachtler System Cine 30"